Wheel stops are most commonly seen in parking lots and underground car parks to prevent vehicles from colliding with other vehicles, buildings, garden beds or from obstructing pedestrian walkways. Australian Bollards’ wheel stops comply with current Australian Standards AS2890.1:2004 for compliant physical dimensions in Australia. With a solid moulded construction and solid black and yellow stripes, our wheel stops will not chip, distort, disintegrate or corrode in various weather conditions. 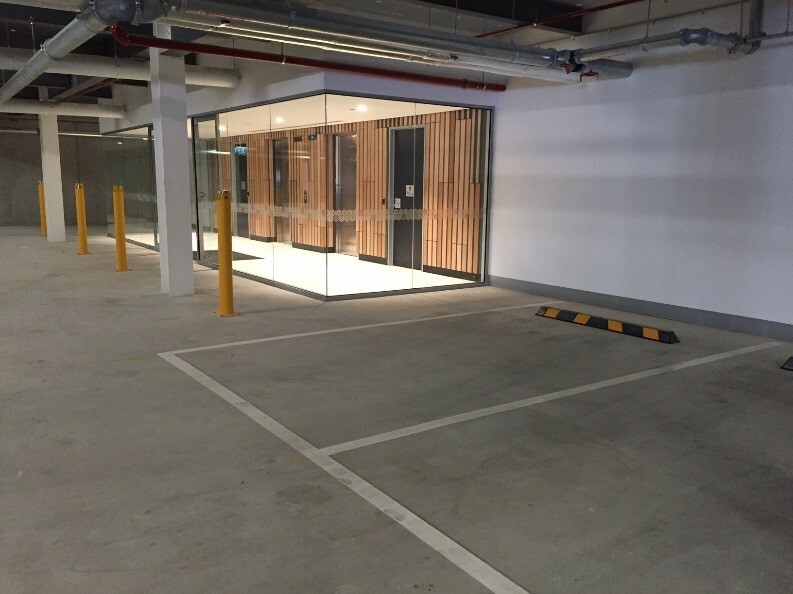 These wheel stops are resistant to UV, moisture, oil and extreme temperature variations, making them the ideal solution for both indoor and outdoor parking situations. 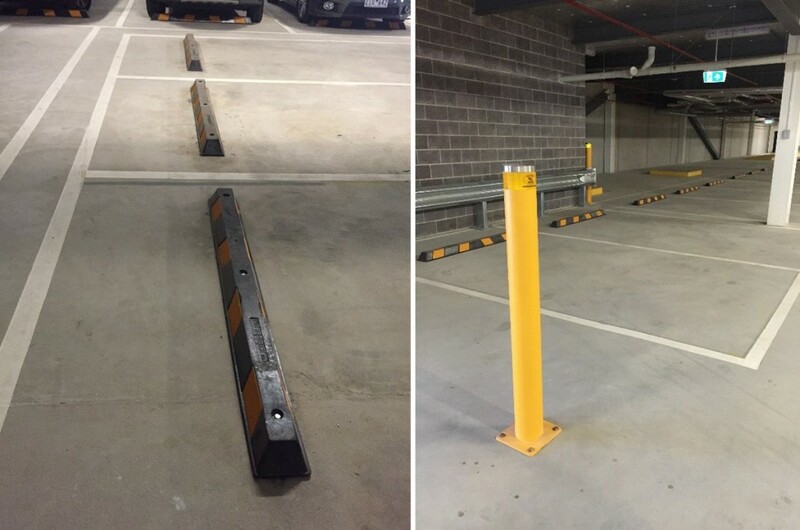 Australian Bollards installed 280 of these wheel stops at the newly developed Caribbean Business Park. The purpose of these wheel stops is to prevent drivers from coming into contact with the wall, as well as allowing enough room for pedestrian thoroughfare. 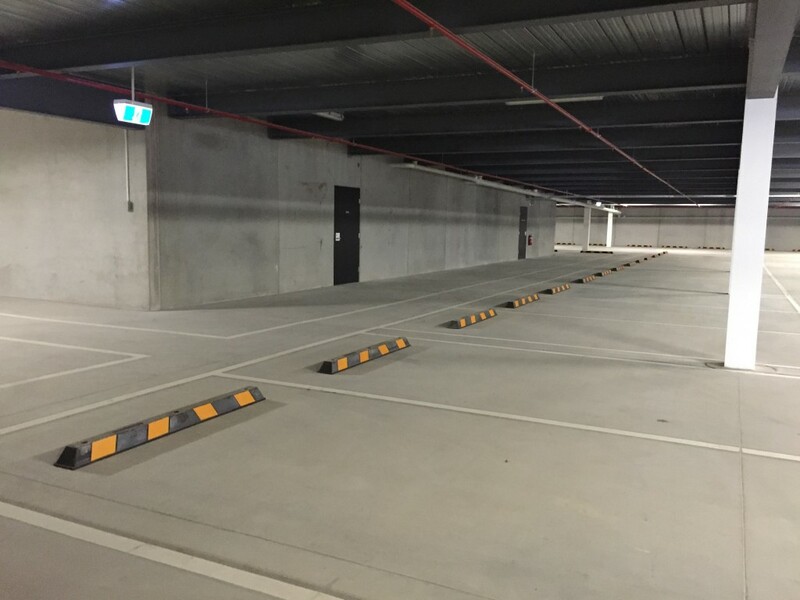 In addition, Australian Bollards installed heavy duty bollards to prevent vehicles colliding with glass containing lift access and Armco barriers to further protect the areas surrounding the underground car park and withstand vehicle impact. Also available in Australian Bollards’ range of wheel stops are: Truck wheel stops, concrete enforcers and galvanised steel wheel stops. Australian Bollards can customise a wheel stop solution to suit your individual site requirements.